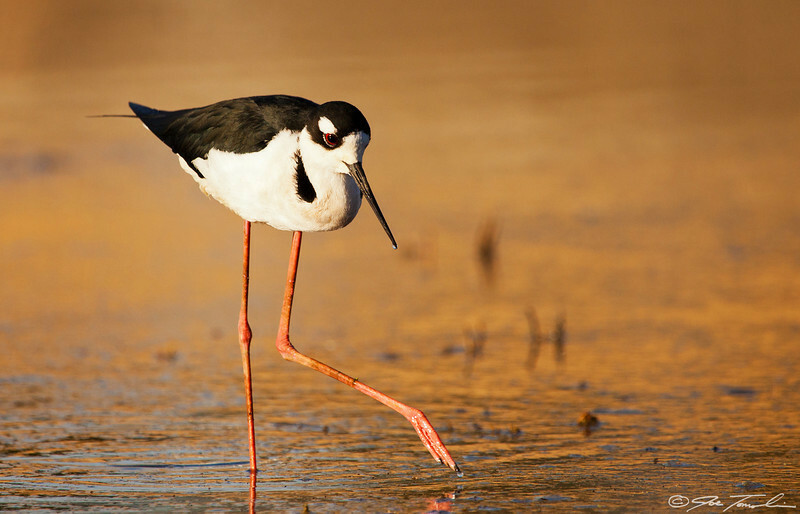 The Black-neck Stilt can be found year-round in shallow lagoons and wetlands throughout California. They are easily recognizable thanks to their extremely long legs. In fact, the only bird with a longer leg length to body ratio is the Flamingo.